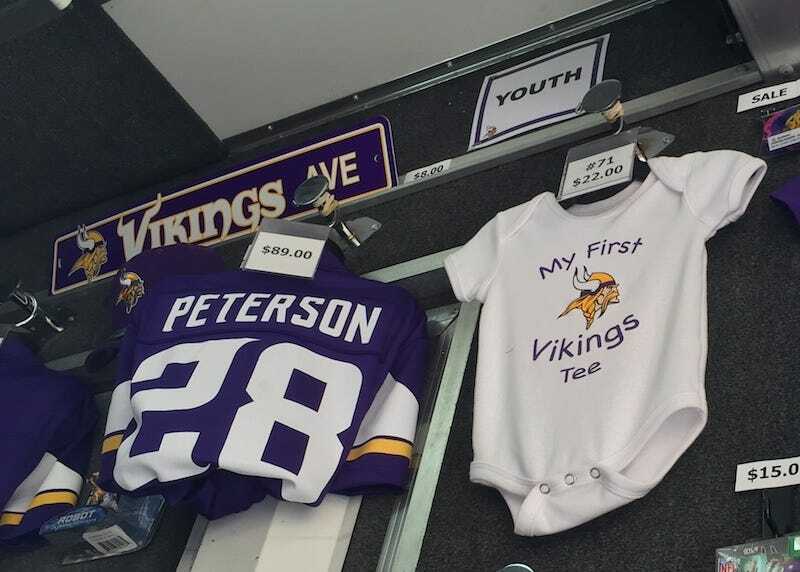 Even though the Vikings have suspended running back Adrian Peterson indefinitely due to child injury charges involving his four-year-old son, the team's still selling his jerseys at games. At full price, too! A reader sent along photos outside of TCF Bank Stadium today. You can pick up an $89 youth jersey if you'd like. You can also get Peterson's jersey inside the stadium.